Malayalam Television GEC Mazhavil Manorama is all set to premiere its super hit show D4 Dance Season 5 as D5 Junior. This program aims to showcase the talent of contestant and eventually find the best dancer. A total of 16 contestants from selected after audition for dancers in the age range from 7 to 12 years. D5Junior show will be on April 6th, at Mazhavil Manorama is going to air D5 Junior every Saturday and Sunday at 8.00 P.M . Zee keralam channel’s Sa Re Ga Pa Kerala will also be premiered on the same date. 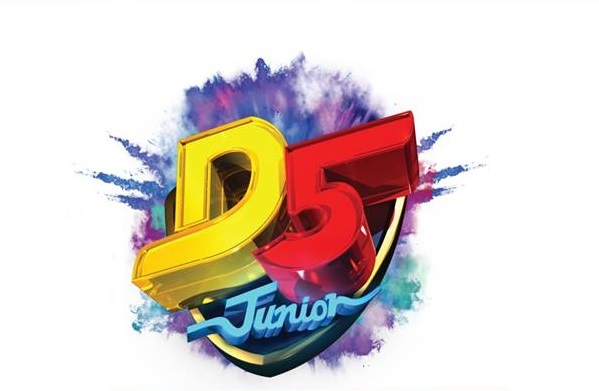 The promos of the first episode of D5 Junior aka D4Dance Season 5, shows Prasanna Sujit, Bhavana, Miya George, Paris Laxmi and Govind Padmasoorya as Judges of D5Junior. The anchors are Nayaika Nayakan fame Jincy and RJ Arjun Gopalakrishnan. This reality show is directed by Yamuna Yami. The permanent judging panel changed for the first time in the history of D4Dance . Choreographer Prasanna Master, award-winning actress Priya Mani and professional Bollywood dancer and trainer Neerav Bavlecha were the permanent judges of previous seasons of D4Dance. Popular TV anchor Govinda Padmasoorya, who hosted D4Dance season 1 and season 2 will be judge of the show. Actress Bhavana and Paris Lekshmi are part of the show for the first time. The details of previous seasons are given below.